Demos for my upcoming debut orchestral/ambient electronic album to be recorded in London early 2019. Michael Ladouceur is an American composer and producer who has developed a unique style blending orchestral and ambient electronic music. He received his Masters in Composition for Screen from the Royal College of Music (RCM) where he now holds a post on the composition faculty, as well as a supervisor role in the Faculty of Music at Cambridge University. 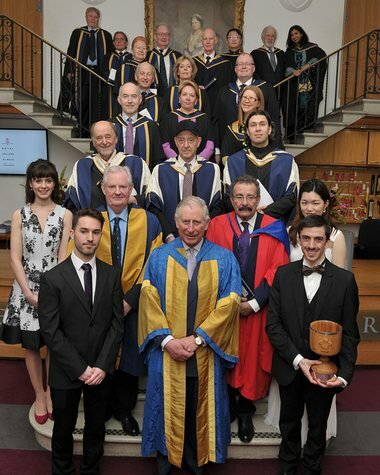 As a Student he was awarded the prestigious Tagore Gold Medal, the top honor given by the college to a graduating student and was presented by HRH Prince Charles, the Prince of Wales. Mike is currently one of this year’s Emerging Creatives supported by The Hospital Club foundation in London. The highly competitive programme offers five artists in different fields support for one year through mentorship and financial support to help develop their artistic vision. Mike is working to produce his first full length solo album, to be released early 2019. Mike has arranged and orchestrated music for a variety of genres in film, and electronic music; and his music is regularly broadcast on BBC Radio 3. He has also worked with top professional composers on a variety of projects including Mission Impossible: Fallout (Paramount) with Lorne Balfe, The Emoji Movie (SONY) with Patrick Doyle, and Call The Midwife (BBC) with Maurizio Malagnini. Co-commissioned by Internet 2 and The New World Symphony, ONE is an experimental short film that draws connections between architectural patterns, musical figures and natural disorder in a search for harmony. The Infinite Bridge is an original theatre show that was performed from 4 different countries simultaneously and in synchronization. With the use of cutting edge streaming technology, we were able to create a visually stunning and immersive performance across cultures and practices. The show uses new orchestral music, theatre, dance and digital technologies to tell the story of a Talia, a young girl trapped in a mundane existence who escapes into her dream world. The Infinite Bridge is an evolving artistic venture that explores hybrid forms of story-telling and aims to engage the audience into a unique emotional journey.